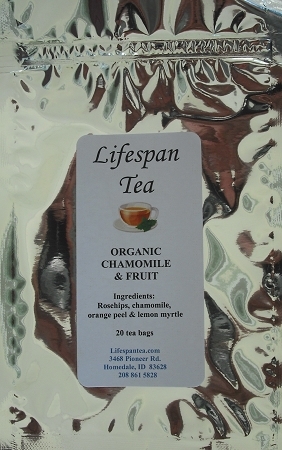 Chamomile & Fruit herbal tea combines the natural sweet character of premium organic Egyptian chamomile with the fresh fruit flavors of orange, lemon and the sweet tartness of rosehips. Delicious hot, served with lemon and a touch of honey, or iced, garnished with slices of fresh citrus fruit. Organic & caffeine free.